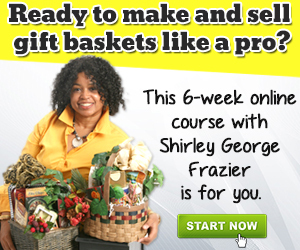 What’s your choice when it comes to gift basket wrapping? Watch this shrink wrapping for beginners video to see how easy shrink wrap is to apply. 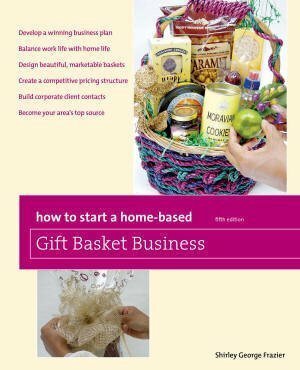 Many students in the online Start Your Own Gift Basket Business class choose to begin wrapping with cellophane when I ask about their gift basket wrapping preference. They choose cello because it’s easy to find and takes less time to wrap. Still, others decide to begin with shrink wrap. Here’s what students say about this choice. I want everything to stay in one place. It’s easy to do with a hair dryer. I don’t want anything to move. Cellophane is hard to work with. 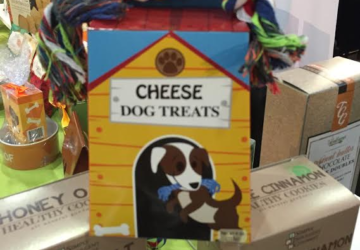 The decision to wrap with cellophane or shrink wrap is a personal choice. One product is not better than the other. 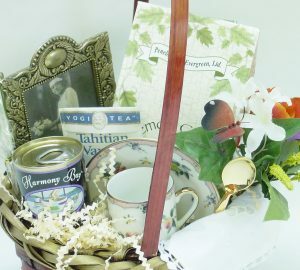 It’s simply a matter of what you prefer and, in the case of making gift baskets for profit, what your customers prefer. My design process began with wrapping gift baskets with cellophane. At the time (in the 1990s), shrink wrapping machines were a big expense. I did not want to spend $350 or more on a shrink wrapping system that took up lots of space and may not have been the best option for me in the long run. Once shrink wrap bags were introduced as an alternative to buying an expensive system, I purchased several bag sizes and was hooked on shrinking. The bags made securing shipped gift baskets so much easier. 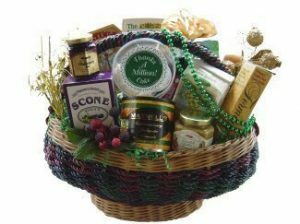 I no longer felt stressed when a gift basket was sent to another U.S. state or country. The shrink wrapping technique secured everything in the gift basket, and it made for a great presentation. 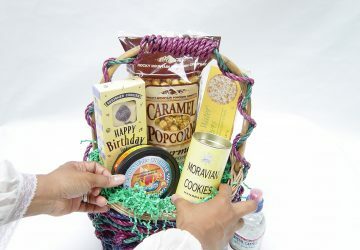 The above video shows how you can shrink wrap your gift basket in seven minutes or less depending on the basket’s size. Choose cellophane, which is available in clear and printed patterns. Select shrink wrap to stabilize baskets being transported anywhere in the world. 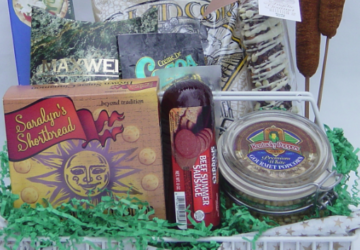 Close your gift basket first in shrink wrap for protection and then in cellophane for a soft, outer appearance. Thankfully, finding and buying shrink wrap and cellophane is easier than it was when I started, which is great news for you. 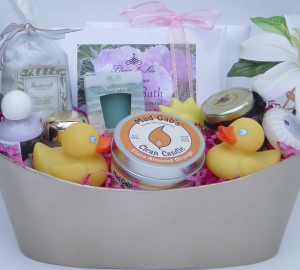 Gift Basket Products, So Easy to Find, reveals where to look. 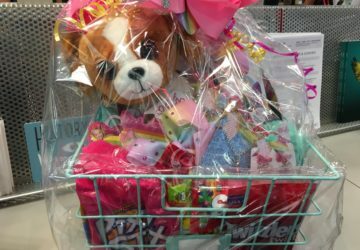 Every month in the gift basket class, students and I explore the products’ differences as well as their strengths and weaknesses. 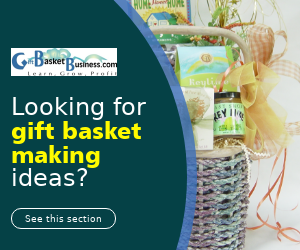 They also have an opportunity for me to see their gift baskets online, covered and uncovered, so I can provide lots of feedback about what they design. Now that you have video access to learn shrink wrapping for beginners, which method do you prefer, shrink wrap or cellophane, and why?